We tackle the age-old problem that retailers face: why certain stores under-perform, as others flourish. Do you really have to be the best to succeed? We are often asked this by retailers who proudly describe themselves as being ‘pretty good’ in implementing basic retail disciplines and executing performance levers in-store to optimise sales. “Pretty good” are words you should dread, because if you’re not a best retailer in your field that’s probably how customers describe you: “Pretty good.” That means customers have other stores they would rather shop. Sooner or later (most likely sooner) they will find those stores or those stores will find them, and they won’t come back to you. Today’s time-starved shoppers don’t frequent mediocre stores. One of the most likely common failings in your multiple retail business is the inconsistency of operational, sales & service standards across the estate. You’ll have like-for-like stores which perform better than others. The challenge for area management is how to manage multiple units, and from them create a cohesive and viable approach to deliver predictable commercial results. The challenge for store managers is to know the in-store performance levers to pull, and when to pull them, whilst spinning many plates in a fast-paced retail environment. WHAT’S HAPPENING IN TOP-PERFORMING STORES? World-class retail managers’ focus on these things every day – they don’t get caught up in non-sales & service related activities. 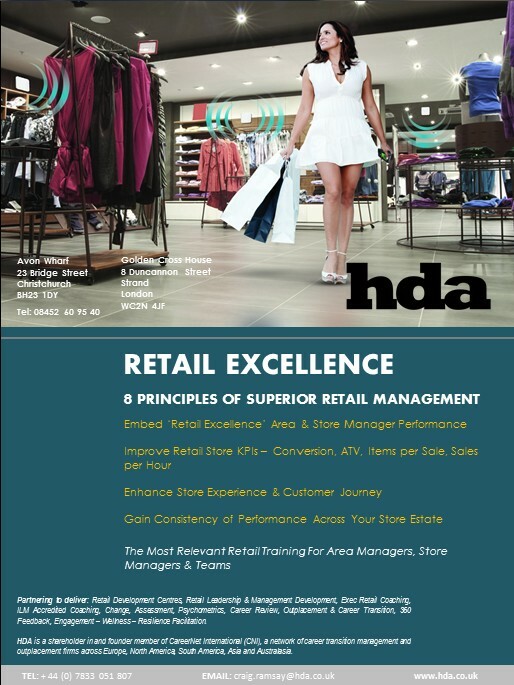 Area managers manage the delivery from a distance, store managers create an environment where compliance to basic operational disciplines is a given, leading their teams to driving commercial performance through delivery of retail Key Performance Indicators (KPIs) and delivering a superior brand experience in-store. We work with all levels of the organisation, from board & senior executives, middle managers and shop-floor employees. This is the most relevant commercial retail training for area managers, store managers & teams.